3000 to 4000 cu. ft. of compressed breathing air. 2 – thirty minute S.C.B.A. with spare cylinders. Six S.A.B.A. (self contained breathing apparatus) with five minute egress cylinder. 2 – two stage high pressure regulators. 2 – 150′ 3/8″ approved breathing hoses. 125′ 1/4″ approved breathing hose. 12 – 50′ 1/4″ approved breathing hoses. 2 – six outlet low pressure manifold. Briefing area and H2S warning signs. Ignition safety flares with hand held flare pistol. H2S and SO2 detection tubes with handheld pump detector. Complete horizontal rescue package with harness, lanyard, and rescue line. Wind sock with 10′ pole. 3 – wind indicators with 10′ poles. 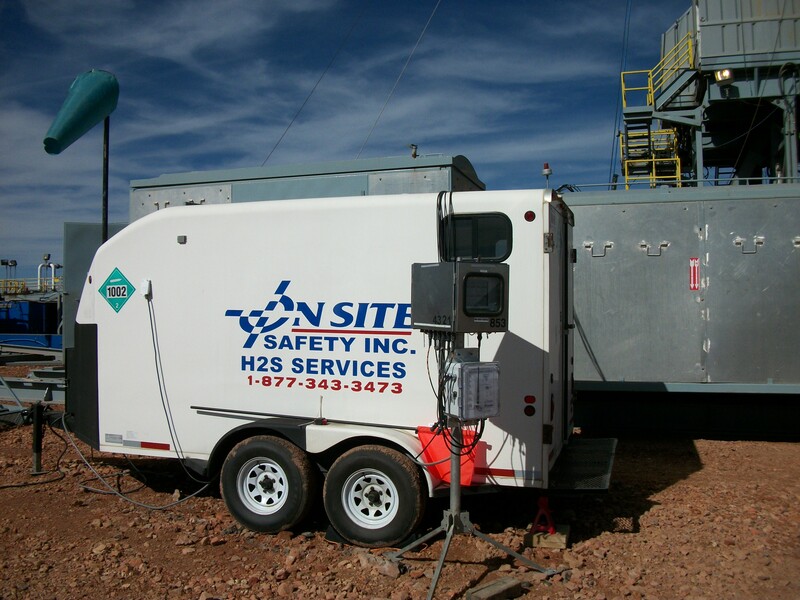 On Site’s H2S safety specialists are fully experienced in all aspects of drilling, completions,drill stem testing, construction, turnarounds, wireline operations, confined space entry, and well control. 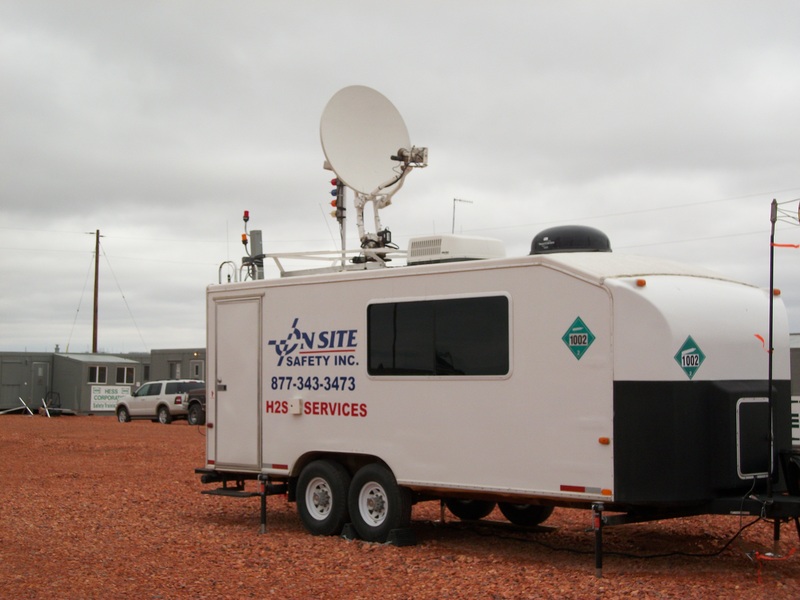 Each H2S Specialist has undergone an extensive orientation and training program. 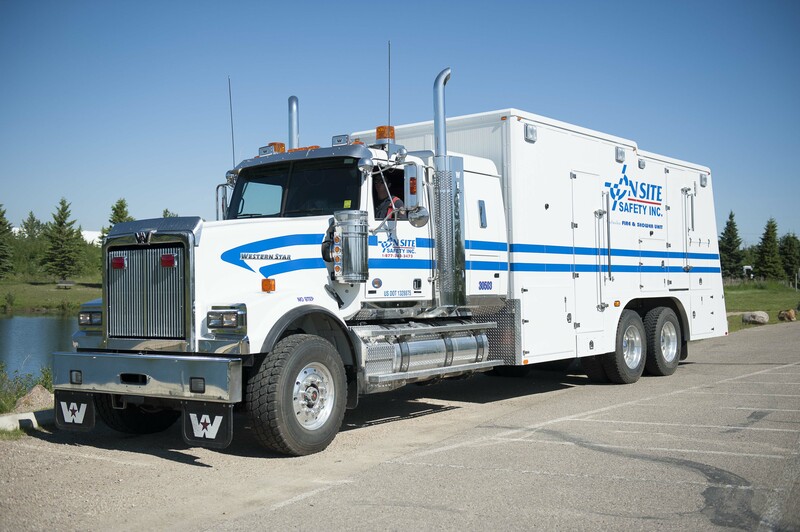 This is followed by an on-the-job mentoring program which is supervised by a senior H2S Specialist. This program is closely monitored by management and includes a skills checklist and practical skills evaluation. On Site's breathing apparatus' are maintained and serviced in-house by our fully certified Scott technicians. 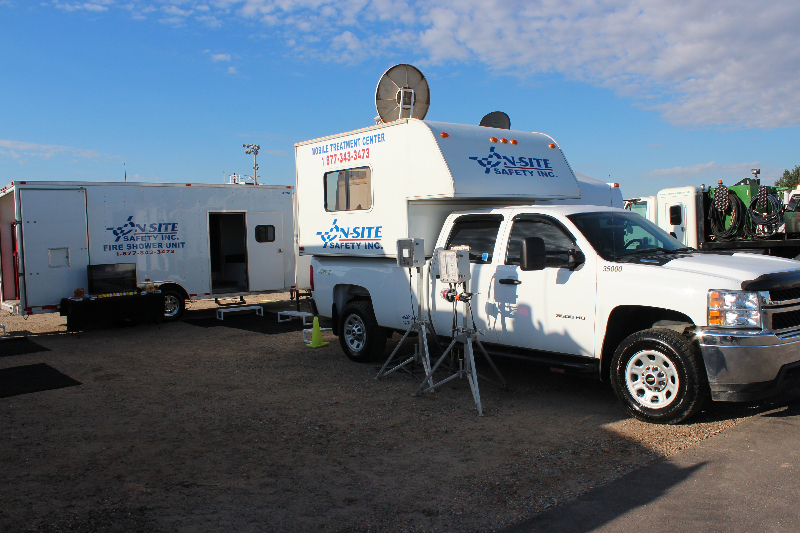 On Site’s H2S Specialists are trained and qualified in the operation and field maintenance of all On Site’s H2S equipment.